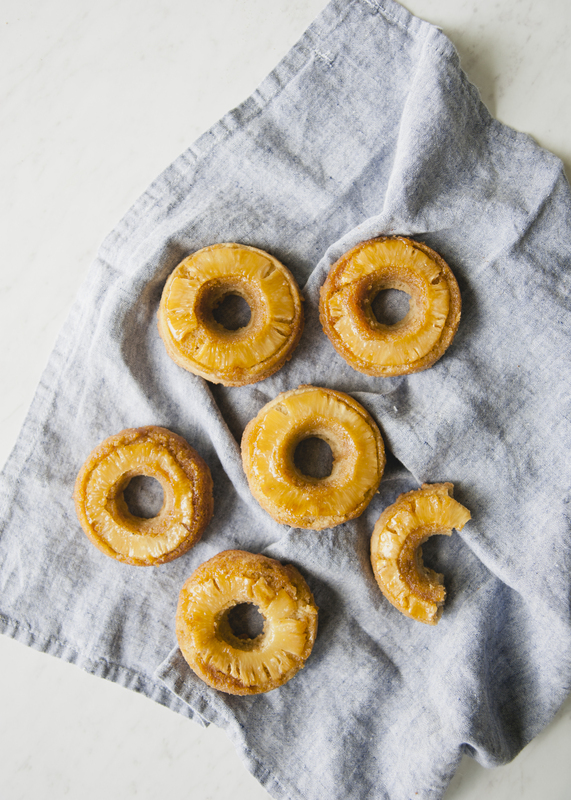 Here’s a fun treat for Easter brunch, our Pineapple Upside Down Donuts! It really doesn’t get much better than this. Our grain-free, refined sugar-free and dairy-free donut is the perfect sweet treat, that isn’t too sweet or naughty like most donuts. I hope you enjoy this donut as much as I do! 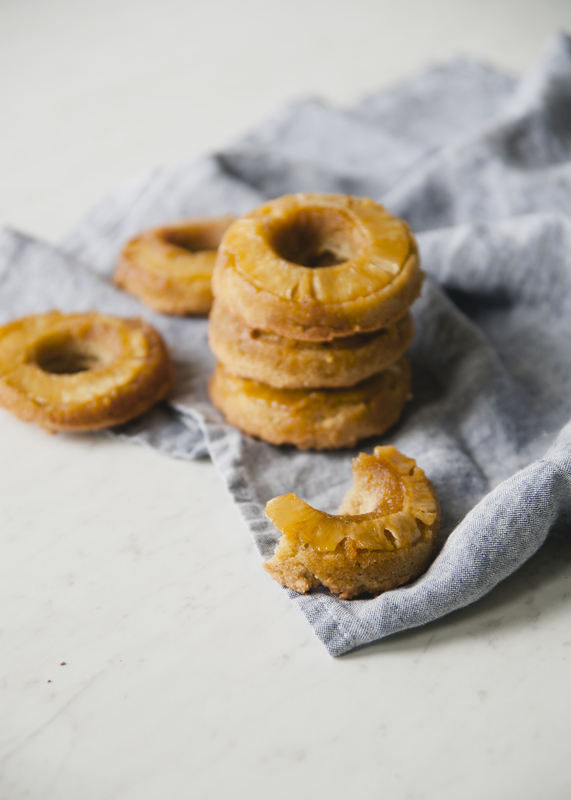 Mix 1 tablespoon of coconut oil and 1 tablespoon of maple syrup, and grease each donut cavity. Set aside. In each donut cavity, place a slice of pineapple. Combine the dry ingredients in a medium bowl. In another medium bowl, combine all of the wet ingredients except egg whites. Pour 3-4 tablespoons of batter over the pineapple. Place donuts in preheated oven and bake for 12-15 minutes. 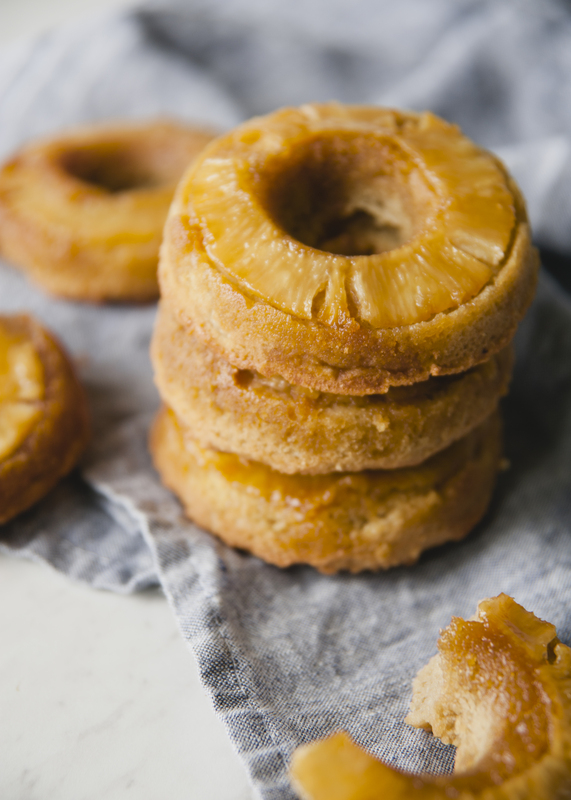 Allow donuts to cool, then flip onto serving platter, pineapple side up. Enjoy! This entry was posted in baking, breakfast, brunch, dessert, event, healthy, holidays, lifestyle, lunch, paleo, Uncategorized and tagged alternative, blog, comfort, dairy free, delicious, doughnuts, easter, easy, favorites, fruit, fun, gluten free, grain free, party, pineapple upside down doughnuts, refined sugar free, seasonal fruits, simple recipe, sweet laurel bakery, upside down, vegan, yummy on March 23, 2018 by sweetlaurel. What kind pan do you use?